GUATEMALA CITY (AP) — Thousands marched Thursday to protest President Jimmy Morales’ decision to end the work of a U.N. anti-corruption commission that has helped lead high-profile graft probes targeting dozens of powerful Guatemalans, including one involving Morales. Students, farmers, clerics, academics and others turned out in the streets of Guatemala City as well as plazas and highways outside the capital to demand Morales allow the commission, known as CICIG for its initials in Spanish, to stay. “Jimmy and Sandra resign, because you are part of the mafia,” read some banners, referring to the president and his foreign minister, Sandra Jovel. “It is a general feeling of rejection of a government that has not been able to run things well,” said opposition lawmaker Paul Briere, who took part in the march. Morales announced at the end of August that he would not renew the mandate of the commission for another two-year term, giving it until the end of its current mandate next September to wind down its activities and transfer them to Guatemalan institutions. The Constitutional Court overruled that decision, but it was not immediately clear whether Velasquez would be able to return. Also Thursday, U.N. Secretary-General Antonio Guterres reiterated during a news conference that Velasquez enjoys his full confidence and he sees no reason for that to change. Guterres added that the United Nations consulted with Morales’ government about appointing a deputy to Velasquez responsible for “coordinating CICIG’s actions” in the country. Friction between Morales and the commission began in January 2017, when CICIG and Guatemalan prosecutors sought arrest warrants for the president’s brother and son on graft charges. Both are currently being prosecuted. In a subsequent case, Morales is suspected of having received more than $1 million in undeclared campaign financing. He denies any wrongdoing and is immune from prosecution as a sitting president. A request to lift that protection is before lawmakers for a decision. 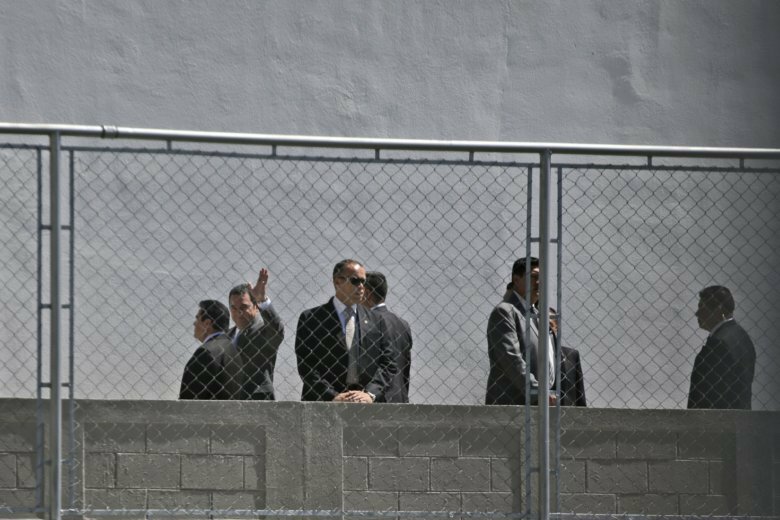 Previous corruption investigations brought by CICIG and prosecutors have ensnared politicians, public officials and businesspeople and led to the resignation and imprisonment of former President Otto Perez Molina.